The purpose of the Data Diagnostic is to help you assess and improve your overall Information Maturity Levels. It reviews business capabilities and the data management capabilities supporting these, identifies the right issues that frame the opportunity for improvement, and sets compelling and achievable goals. 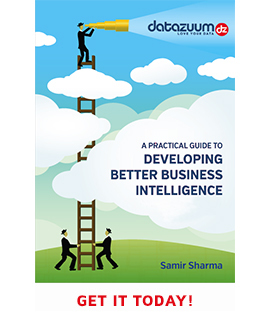 It provides a broad and deep understanding of the data management practices in place, and how they impact business performance. We work with your team (executives, business personnel, knowledge workers, and IT data architects and managers) to gather feedback on your current data management practices, through a survey which has 175 capability statements. The survey is categorised into the following area: People / Organisation, Practice, Policy, Compliance, Measurement and Technology. Key Enablers required for realising the Business Capabilities. The gap analysis helps identify the priority areas that need to be addressed, develop the data management roadmap, and used to create the overall business case. Some of the key benefits that customers see after implementing some of the recommendations are: improved customer service and relationships, more efficient operations, lower costs and more revenue-generating opportunities. The diagnostic can deliver as fast as 3 – 5 days, which includes spending some time with your stakeholders onsite, and producing a report that is presented back to you with potential quick wins and recommendations for improvements. To schedule your Data Diagnostic please give us a call on +44 (0)845 056 8753 and discuss your needs with one of our specialists.